Hypoesthesia is a condition in which the sense of touch is reduced or complete loss or the sensitivity factor is also reduced as partial loss to the sensory stimuli. Numbness is another term defining hypoesthesia. Hypoesthesia may be associated with a certain skin disease like cutaneous sensory disorder CSD. In this condition the sensory symptoms may appear negative. Hypoesthesia is considered as a widely occurring symptom of many diseases like in beriberi the feet and limbs and the navel portion along with lips show numbness or hypoesthesia. These symptoms may occur due to thymine deficiency in body. It is also a well-known symptom of decompression sickness. Numbness may occur due to nerve damage and can occur in any part of body. It is the most common symptom in diabetes. Patient suffering from numbness or hypoesthesia cannot feel anything or any kind of stimulus i.e. thermal, mechanical or electrical stimulus. Patient cannot even feel the sensation of vibration. This condition is not only confined to the physical activity but also a psychological problem. As the patient loss his feelings of pain and other conditions. This condition may also lead to the loss of strength of patient which may be permanent. The hypoesthesia is a condition resembles with numbness. So the main symptom associated with hypoesthesia is the loss of sensation of touch which may be partial or complete. The patients suffering from numbness or hypoesthesia cannot feel anything or any kind of stimulus i.e. thermal, mechanical or electrical stimulus. The patient cannot even feel the sensation of vibration. Hypoesthesia or numbness is itself a symptom of many diseases like leprosy, diabetes, multiple sclerosis, cutaneous sensory disorder, burns and decompression sickness. The patient become psychological ill as he is not able to feel any hot or cold or pain sensation in numbness. Hypoesthesia is secondary to many diseases like in beriberi disease, the patient cannot feel sensation in the limbs, and navel line and lips part due to the deficiency of thymine in body. It is a symptom of cutaneous sensory disease CSD in which the patient feel abnormal sensations of skin like itching, stinging and burning or decreased sensation i.e. hypoesthesia. Cutaneous hypoesthesia is caused due to appendicitis and ultimately leading to hypoesthesia or numbness. The hypoesthesia may manifest decompression sickness, along with joint pain, fatigue and rash. This may occur due to nerve damage in any part of body. 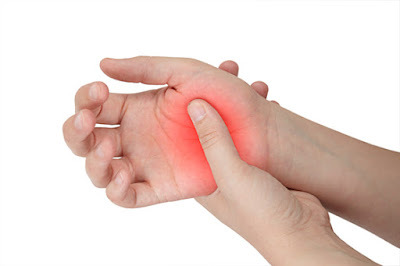 Hypoesthesia or numbness is itself a symptom of many diseases discussed above, so it is always preferred to treat the underlying cause behind numbness or hypoesthesia. The disease behind hypoesthesia is treated and the hypoesthesia get treated on its own. If the reason behind hypoesthesia is the suppression of nerves or damaged nerves then a proper physical therapy along with massage and exercise is required to treat numbness. The patient can be treated at home with some curative gymnastics and contrast baths. The patient have to quit smoking and should avoid excess coffee and alcohol.